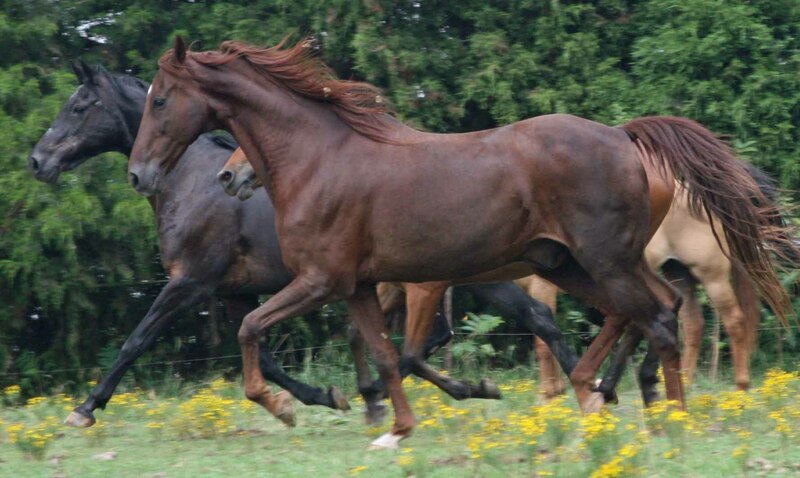 In 1999, HPS helped rescue the very large Carol Lewis herd of Saddlebreds from starvation. 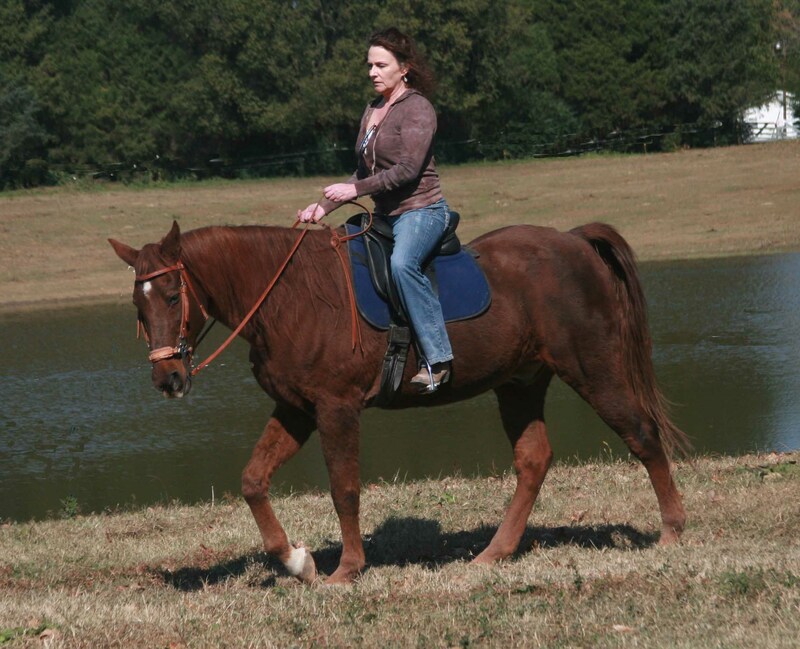 Two of the few healthy horses were placed with a lady in Union county. In 2005, we lost touch with her after her phone number was changed and mail was returned. Our new placement review team was able to find the woman's whereabouts with a little investigative work. They were upset to learn that one of the horses had died. Placement agreements require caregivers to notify HPS if an animal becomes very ill, injured or dies. It also requires a 30-day notice before an animal is moved, and the new location must be approved by HPS staff. Arrangements were made to look at the remaining gelding. His caregiver stated that he had not had dental care for several years and was due for his rabies shot. 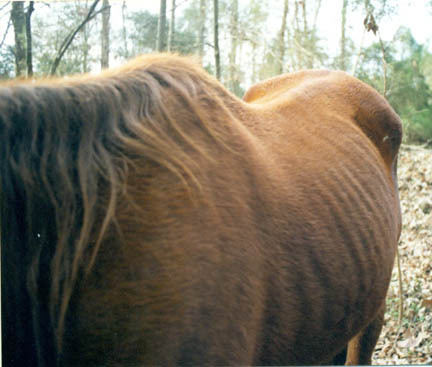 The placement team arrived on site to learn that the gelding had been moved to another location some time before. At the next location they found him and were surprised at how thin he was. He was covered in botfly eggs and his hooves were in desperate need of trimming. The property owner said that he had heard from the caregiver several weeks before but could not remember the last time she had been out to see the horse. The team then made the difficult decision to enforce the placement contract and remove the horse from the care of the woman. Too many covenants of the contract had been violated and the horse was in undesirable condition. Thankfully, the team found Desperado and removed him when they did because it later came to light that the caregiver was planning on moving him again....out of state. Desperado was brought back to the sanctuary. 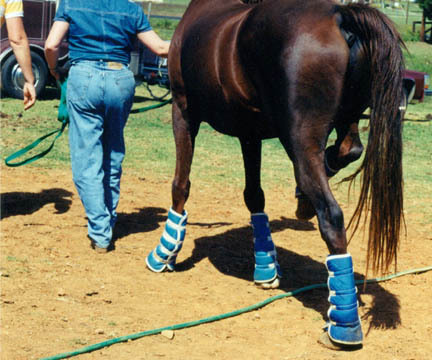 His hooves have been treated to remove old abcesses and cracks. He was placed on a special diet to help regain his lost weight. 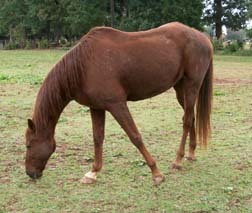 Desperado had fully recovered and was placed in another home in 2011. The new caregivers had trouble keeping his weight on him but stayed in contact with the sanctuary and sought advice. Unfortunately they were not able to successfully keep his weight up and they were also starting to have financial problems so rather that putting Desperado's well being in jeopardy they made the wise decision of doing what was best for Desperado and returned him to the sanctuary. 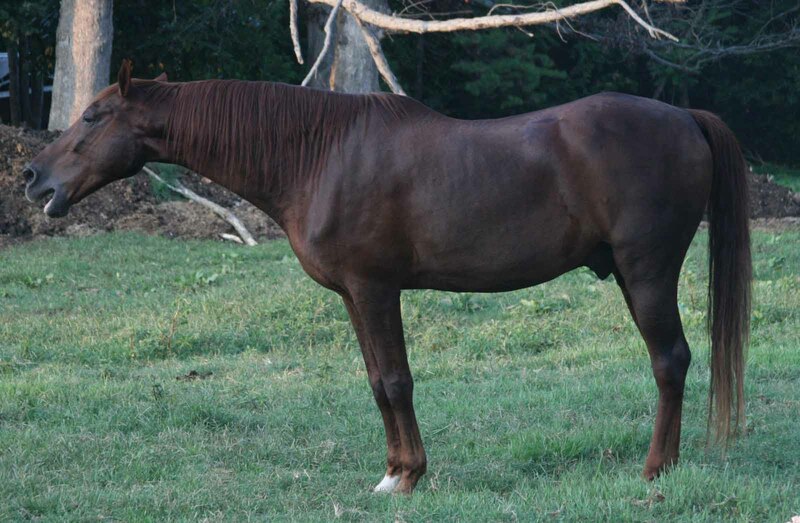 Desperado is now available for placement again. 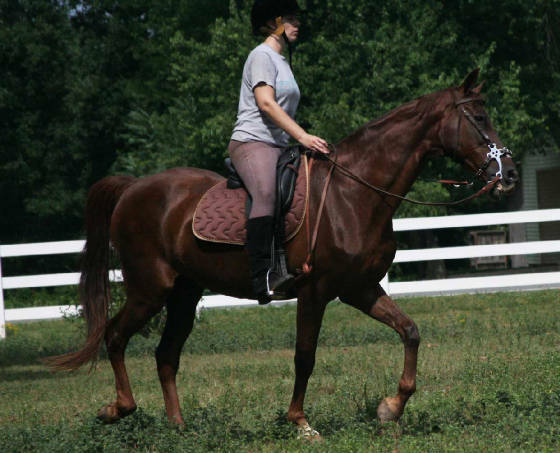 This is a sweet, gentle horse that would be good for an intermediate rider.